Daily disposable lenses are always evolving. As a patient it can be hard to know which contact lens to choose without trying them all out. It’s also difficult for a newly qualified Optometrist to know which lens to choose for a patient. 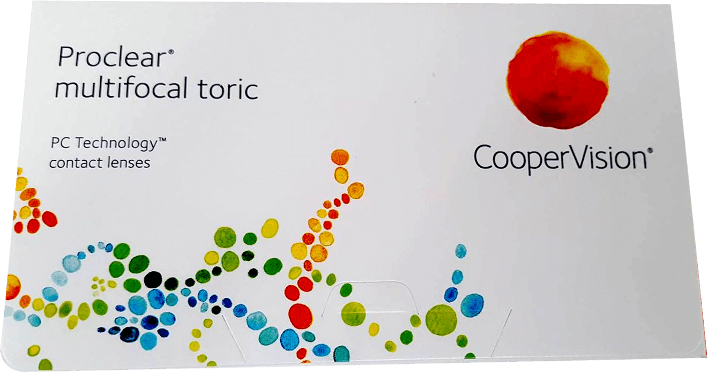 I have put together this list of my preferred daily spherical, toric and multifocal daily disposable contact lenses that I feel are of the highest quality and available in the UK. I hope you will it find it useful! These lenses are for people without astigmatism or presbyopia. The power of these lenses normally range from around -10.00 to +6.00 DS. 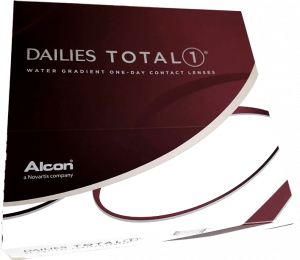 This lens is arguably the best spherical daily disposable contact lens on the market. With its base curve of 8.5 mm and a diameter of 14.1 mm, it fits most patients’ corneas very well. The lens uniquely features water gradient technology (Lightstream™ Technology). It is composed of a silicone core which is secured between an outer and inner layer of an ultra soft hydrophilic surface which has a water content of over 80%! It also has a DK/T of 156. What this means is that the lens is extremely breathable, allowing a lot of oxygen to the eye. It is also amazingly comfortable, so much so that Alcon have marketed it with the wording ‘experience the lens that feels like nothing’. This lens is especially useful for patients who have struggled with contact lens wear comfort in the past or for patients who have dry eyes. This is also an extremely good lens and I fit it often. It comes in a base curve of 8.5 mm or 9.0 mm and a diameter of 14.2 mm. This lens uses HYDRACLEAR® Technology and is made from silicone hydrogel which makes it very breathable. The lens has a water content of 46% and a DK/T of 118. This lens also has the added advantage of having Class 1 UV protection which blocks 99.9% of UVB and 96.9% of UVA. Patients should still use sunglasses as the lens only protects the cornea from UV and not the rest of the eye. 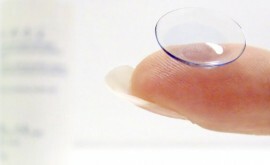 This lens does not contain silicone hydrogel but keeps the eye moisturised by using a unique Blink-Activated Moisture System which contains hydroxypropyl methylcellulose (HPMC), polyethylene glycol (PEG) and polyvinyl alcohol (PVA). It fits most patients very well by having a base curve of 8.7 mm and a diameter of 14.0 mm. The lens has a water content of 69%. Patients find these lenses easy to handle and experience a very high level of comfort all day. This lens features LACREON® Technology, which provides great comfort all day. It works by permanently embeding a moisture-rich wetting agent which isn’t blinked away throughout the day. 100% of the wetting agent remains in the lens at the end of the day. This ensures daylong comfort. It comes in a base curve of 8.5 mm or 9.0 mm and a diameter of 14.2 mm. The lens has a water content of 58% and includes Class 2 UV- blocking which stops 98.8% of UVB and 85.1 of UVA. These lenses are for patients who have astigmatism. We correct astigmatism using toric lenses. 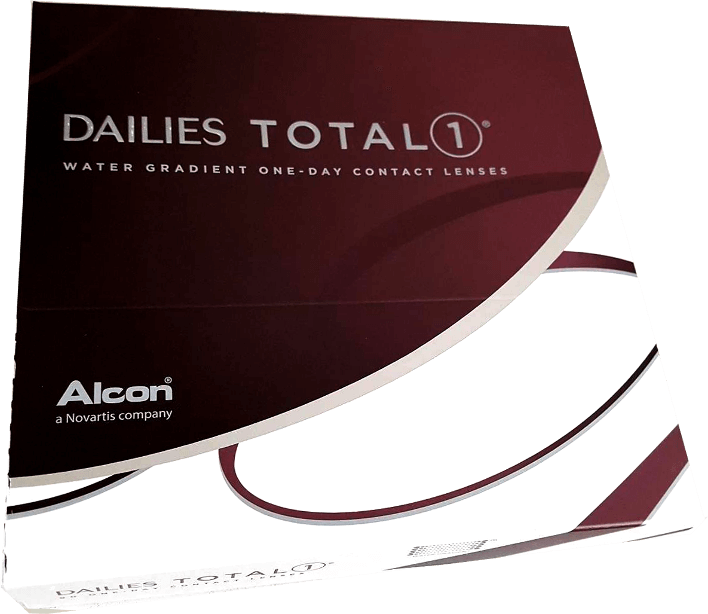 DAILIES® AquaComfort Plus® Toric lenses have a double thin zone design with a tri-curve toric back surface. The lens has a base curve of 8.7 mm and a diameter of 14.0 mm which fits most patients very well. The reason these lenses achieve such stable visual acuity for the patient is because the thickness between the vertical, thinner zone and the horizontal, thicker zone is constant. This allows excellent stabilisation regardless of the lens power. As with all the AquaComfort Plus lenses, it keeps the eye lubricated by utilising its Blink-Activated Moisture System. Patients love this lens for vision and comfort. These lenses are designed with BLINK STABILIZED™ technology. This works by having four stabilisation zones which allow for the natural blink of the eye which in turn allows for the visual acuity to be consistently clear on every blink. It comes in a base curve of 8.5 mm and a diameter of 14.5 mm so it fits the majority of patients very well. Like the 1 Day Acuvue Moist daily lens, it uses LACREON® Technology which creates all day comfort. Patients love this lens for both vision and comfort. When comparing this lens with the Alcon AquaComfort Plus Toric, it is difficult to say which is best. This is when cost becomes a factor. 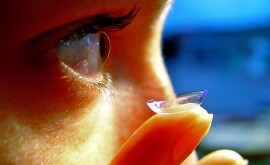 This lens is unique because it is the only daily disposable toric contact lens on the market that is made from silicone hydrogel. 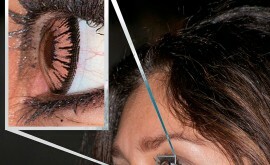 This means that it is the most breathable lens, allowing the maximum amount of oxygen to the eye. It is also very comfortable and prevents dryness thanks to its WetLoc® technology. This works by creating a lens that naturally attracts and binds water molecules to the lens surface. This combination of silicone hydrogel material and WetLoc® technology enables the eye to stay moist and comfortable all day. It uses a prism ballast design which employs 1/1.5 (and up to 3 dioptres ) base down prism at the bottom of the lens. This makes the lower lens a little thicker. The idea is that the lid action over the thinner top part of the lens, forces the lens into the correct position. However, this design is not always the most successful. Stability of vision when fitting patients with this lens may not be quite as good as with the other toric lenses available. It comes in a base curve of 8.6 mm and a diameter of 14.3 mm and fits most patients very well. The main advantage of this lens, other than the material, is the range of power combinations it offers. It comes in a range of -9.00 D to + 4.00 D and the cylinder goes up to -2.25 D in a wide range of axes. Lenses to correct presbyopia are called either multifocal, progessive or presbyopic contact lenses. Up until now, I have had the most success with these daily disposible multifocal lenses. They are great because they come in a large range of powers from +6.00 D to -10.00 D in 0.25 D steps with low, medium, and high adds. They have a base curve of 8.7 mm and a diameter of 14.0 mm. This is useful as if a patient is going from the spherical Daily AquaComfort Plus lens, the fit will be the same. These lenses use the Precision Profile Design (which is also used for the monthly Air Optix Multifocal). It works by creating a smooth transition from centre near to intermediate and distance. The ADD power is consistent over the entire spherical power range which ensures a predictable fit. In addition to this, the aspheric back surface design ensures the lens fits centrally with optimal movement. Patients like these lenses because their sight is more stable with both distance vision and near vision being equally as good, without too much compromise. However, the most success is with the lower presbyopes where it gets harder, the more reading ADD the patient needs. Make sure you refer to the fitting guide in these cases. This lens is also very good and I have had a lot of success with it. The main advantage is its single profile design which prevents too much compromise in the patient’s distance vision whilst allowing the non-dominant eye to be used to boost the intermediate and near vision. It comes in a wide range of powers from -10.00 D to +6.00 D and corrects ADDs of up to +2.50 D. It comes in a base curve of 8.7 mm and a diameter of 14.2 mm and fits well in the majority of patients. In terms of comfort, these lenses are very good. 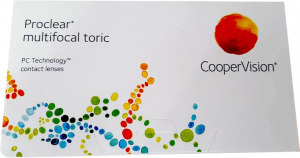 CooperVision use their ‘PC Technology’ where the phosphorylcholine (PC) molecules of the lens material attract and bind water to the surface, creating a shield that keeps the lens clean and functioning properly. The PC molecules also help the lens remain hydrated which in turn ensures the lens is comfortable to wear all day. I am excited about this brand new lens. It is the only daily disposable multifocal lens that caters for the natural variation in pupil size according to age and refractive power. The lens comes in 183 unique designs depending on these factors. They are created by the EYE-INSPIRED™ Design which includes a unique hybrid back curve. This ensures that the optical design is properly aligned to the pupil. When the patient’s vision is corrected, it eliminates ‘ghosting’ and blurring when looking at different distances. As with the Johnson & Johnson 1 Day Acuvue Moist they use LACREON® Technology to ensure very good comfort all day. The lens comes in a range of powers from -9.00 D to +6.00 D and corrects ADDs up to +2.50 D. It comes in a base curve of 8.4 mm and a diameter of 14.3 mm. It is important to refer to the fitting guide when trying these lenses as they are the least ‘one fits all’ of all the lenses.